Servers connected to the Internet see a constant number of attacks and scans throughout the day. While a firewall and regular system updates are a good first defense to keep the system secure, you should also regularly check that no attacker came in. The tools described in this tutorial are made for these reason tests, they scan for malware, viruses, and rootkits. They should be run regularly, e.g. every night, and send you reports by e-mail. You can also use Chkrootkit, Rkhunter, and ISPProtect to scan a system if you have suspicious activities such as high load, suspicious processes or if the server suddenly starts sending malware. on Ubuntu to become root user. 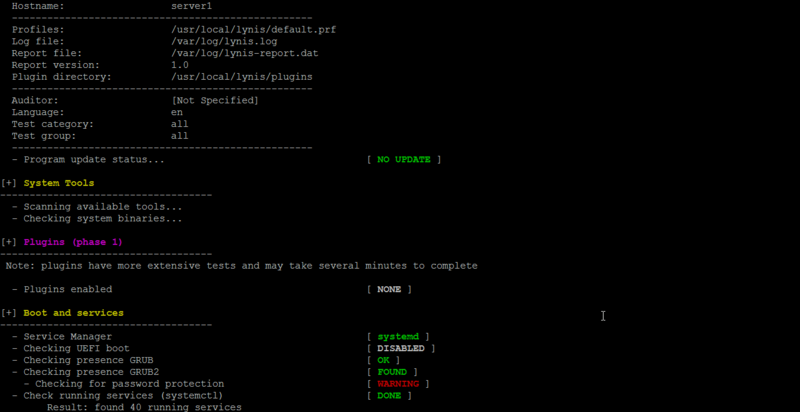 Chkrootkit is a classic rootkit scanner. It checks your server for suspicious rootkit processes and checks for a list of known rootkit files. Don't worry when you get this message on an email server, this is the SMTPS (Secure SMTP) port of your mail system and a well known false positive. That would run chkrootkit every night at 3:00. Replace the path to chkrootkit with the path you received from the above command and exchange the email address with your actual address. to check if you use the latest version. Lynis will perform a few checks and then stops to give you some time to read the results. Press [ENTER] to continue with the scan. In the end, it will show you a summary of the scan. This will run Lynis every night a 3:00h. Replace the email address with your real address. A scanner to show the installation directories of outdated CMS systems. A scanner that shows you all the outdated WordPress plugins of the whole server. 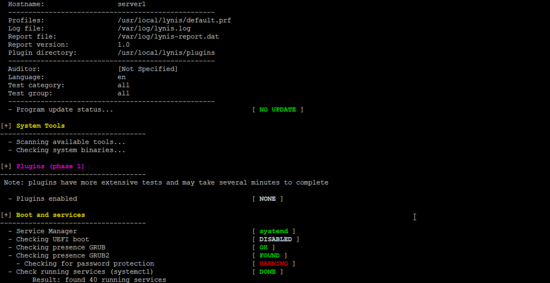 A database content scanner which checks MySQL databases for potentially malicious content. 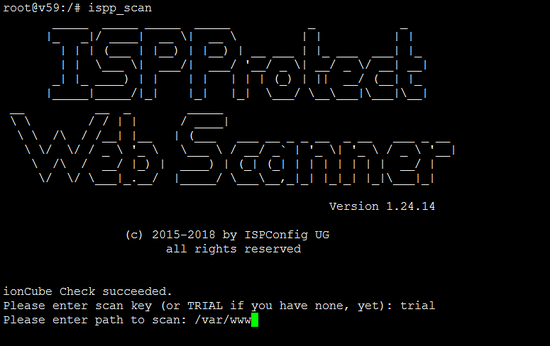 ISPProtect is not free software, but there is a free trial that can be used without registration to check your server for malware or clean an infected system. The free license key to use the full version of the software once on your server is simply 'trial'. 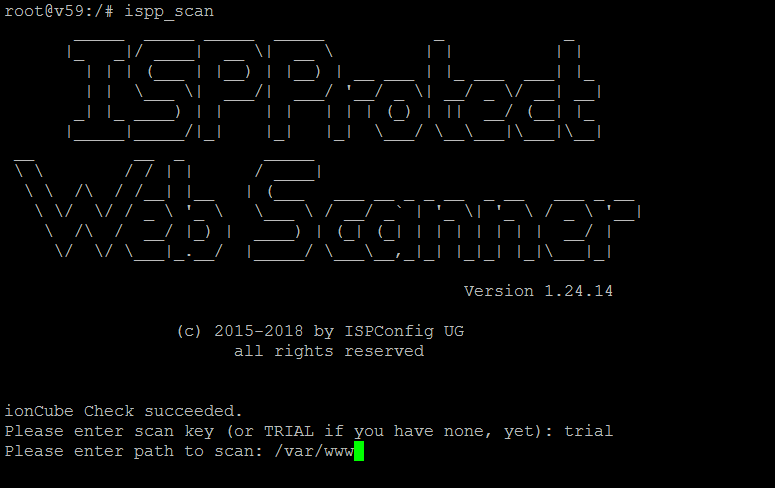 Run the following commands to install ISPProtect. The scanner automatically checks for updates, then asks for the key (enter the word "trial" here) and then asks for the path of the websites, normally that's /var/www. Replace "[email protected]" with your email address, the scan report is sent to this address. Then exchange "AAA-BBB-CCC-DDD" with your license key. You can get a license key here. The software Lynis that I covered above is the new software from the author of rkhunter. As far as I can see, it includes the rkhunter functionality and replaces it. I've also found rkhunter useful. Thanks for mentioning unhide. Nice tool! If you install chkrootkit from debian package, it comes with a cronjob already, just set RUN_DAILY="true" in /etc/chkrootkit.conf. Well done my friend. Very helpful and useful article. No tool or set of tools is 100% complete. For better rookits, they can avoid detection by all of these tools. With RPM based systems, you can use rpm -V to verify a package against its manifest. You can also use md5sum and compare binaries to known good ones. Also you can never trust even the most basic commands when working on a potentially rooted system. If taking the server offline is not a possibility, then I recommend using statically compiled tools. 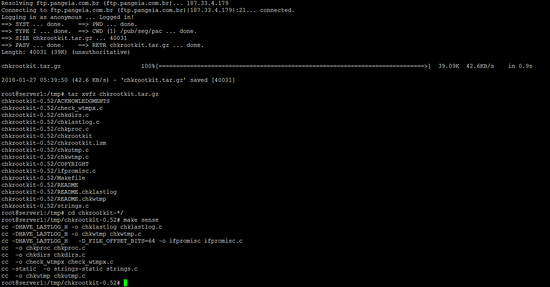 This way you can assure that the libs things like bash, lsof, ps and others link into are not hacked. For simpler rootkits often used by botnets, I find they often set the immutable bit on files in *bin directories. You can easily check this using lsattr and look for s - i -a attributes in tools like ps, find etc.